USB Type-C™/USB-C is the future of USB technology. The new Type-C connectors a revolution in design and operability. It features a slim connector design specifically tailored to emerging products across the mobile communications and computing spectrum. 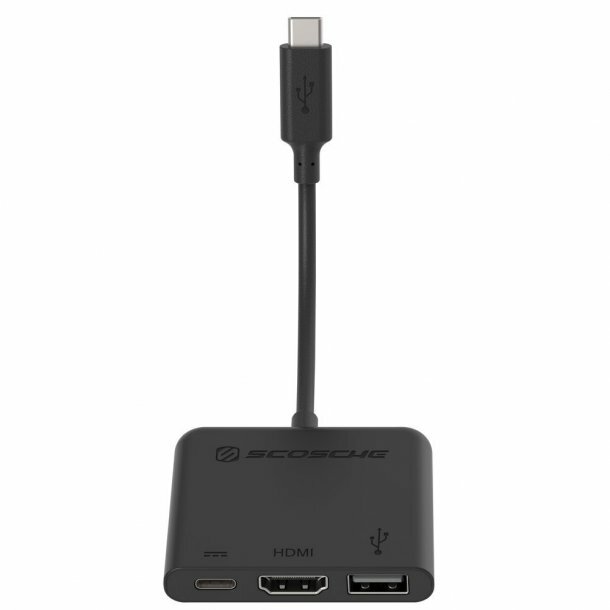 Connect your USB-C™ Devices to standard USB devices and to HDMI-enabled displays with the USB-C Hub while also connecting a USB-C charging cable. Add a second display or mirror your MacBook / MacBook Pro onto an HDMI-enabled display up to 1080p. Connect any standard USB (USB-A) devices to your MacBook / MacBook Pro while maintaining your ability to charge using a USB-C charging cable. Output of video content like movies and captured videos. Hub features three ports: USB-A, USB-C and HDMI.